We present a qualitative range of Industrial Pumps that are made from superior quality raw materials. Known for their high performance and strength, our Industrial Pumps are available in different specifications and grades. 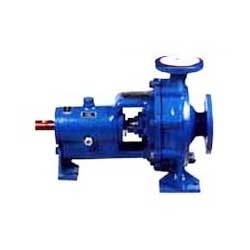 We are among the leading manufacturers, suppliers, traders and exporters of Centrifugal Pumps. 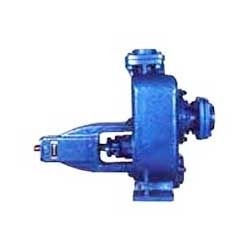 Manufactured as per the industry laid standards of quality, these pumps are widely used for transporting various fluids. The offered centrifugal pumps are known for their flawless design and optimum efficiency. We are instrumental in offering optimum quality Centrifugal Water Pumps to our valuable customers. These pumps are precisely engineered using sophisticated machinery to ensure optimum standards of quality. 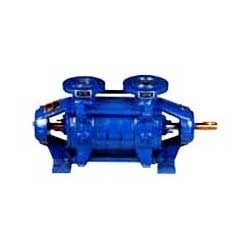 The offered pumps are used for the purpose of transporting water in different industrial applications. Our company holds expertise in offering best quality Industrial Centrifugal Pumps to our esteemed customers. 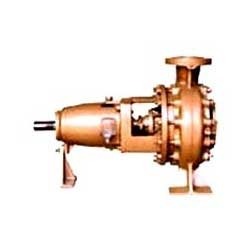 These pumps are widely used for transporting various fluids or gases in different industrial applications. The offered pumps undergo various in-house quality testing procedures to ensure a zero-defect range. We offer premium quality Centrifugal Pumps to our valuable customers. Available with us at highly affordable prices, these pumps are commonly used for transporting various fluids. Highly motivated to attain maximum customer satisfaction, our team of logistics professionals assures safe and timely delivery of these pumps at the customers’ end. Looking for Industrial Pumps ?